"Do you Remember Geronimo? Star on chest and sweet heart. We recently moved from Desert Hot Springs CA. to Grand Rapids Michigan. He was great on-the-go drive and has fallen in love with the large yard in Michigan! I thought with your Pitties adoptions you can show how great it is having these wonderful dogs! He traveled across country via car and stayed in hotels! He was fabulous! He is great with our now 6 Year old son. Thank you for our wonderful addition to our family." Remember, all bully breed dogs 6 months and over are just $20 to adopt through August 8th! 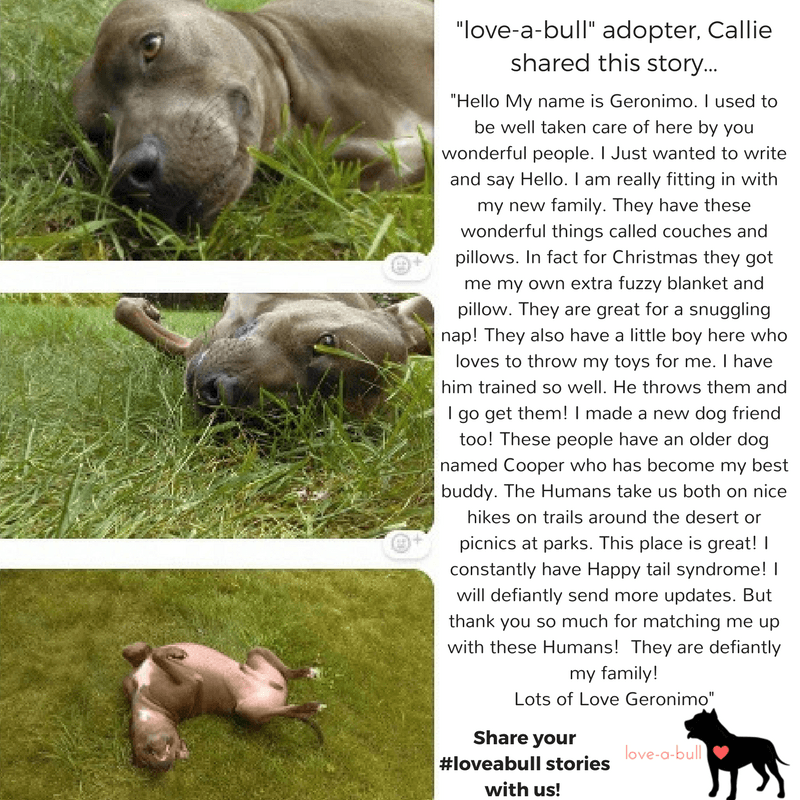 Share your "love-a-bull" stories too on our Facebook, Twitter and Instagram channels!